Opened earlier in the year at COMO Dempsey is The Dempsey Cookhouse & Bar by world renowned NYC Chef Jean Georges Vongerichten. The casual dining restaurant spots an open kitchen where diners can have full view of the chefs dancing around the kitchen. It felt like a scene in hell kitchen except that they are synchronization in their dance, like a well oiled machine, dishing out dishes after dishes. For appetizer we started with the Tuna Tartare with Caviar ($38). It is both beautiful in presentation and on the palate. 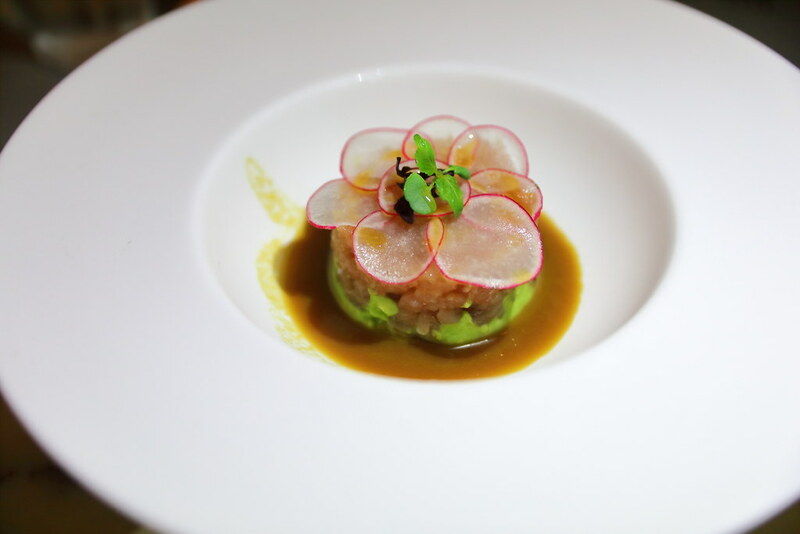 The tuna tartare sat on a bed of avocado cream that was well balanced with citrus zest to it. Next, we had the Fresh Tagliatelle with Clams ($20) which had a good bite to it, cooked to al dente. 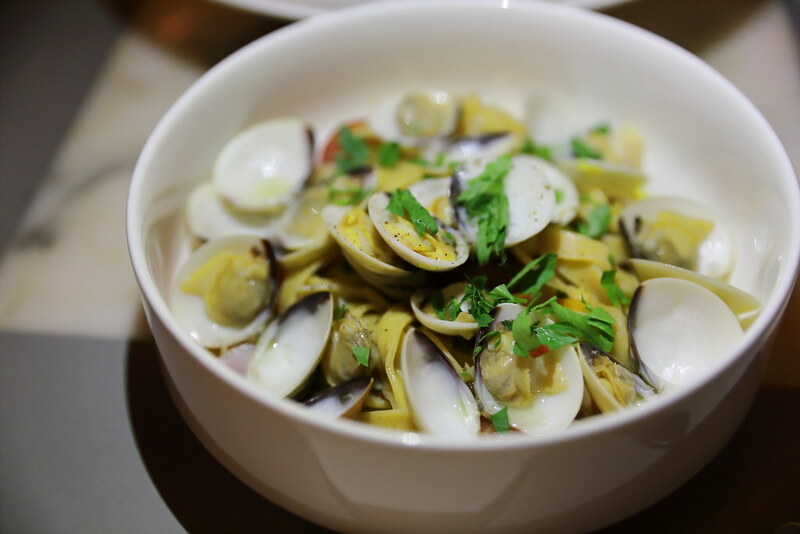 This is freshened up by garlic and parsley, together with the sweetness of the clam. Chilli was also added to spice up the pasta dish. 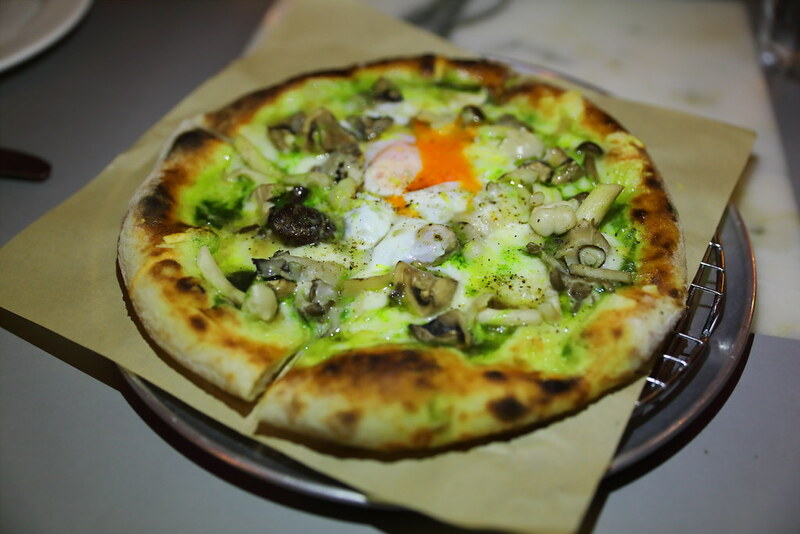 Many diners have gone for the popular black truffle and fontina cheese pizza but we decided to try something different. 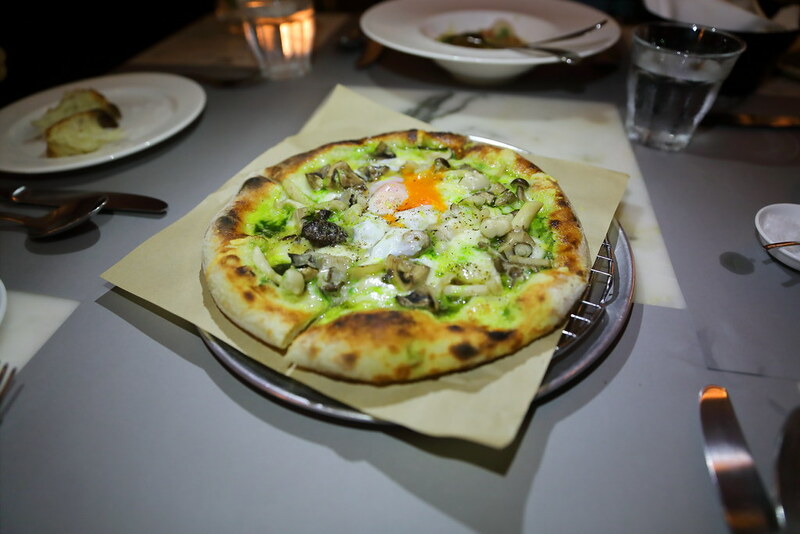 Hence we ordered the Mushroom Pizza ($19) with Farm Egg and Parsley-Garlic Oil. We didn't regret trying something different, the thin pizza was slightly more doughy on the rim with a little charred. The ingredients may not be the most luxurious, it didn't lose out either with its wholesome flavour. 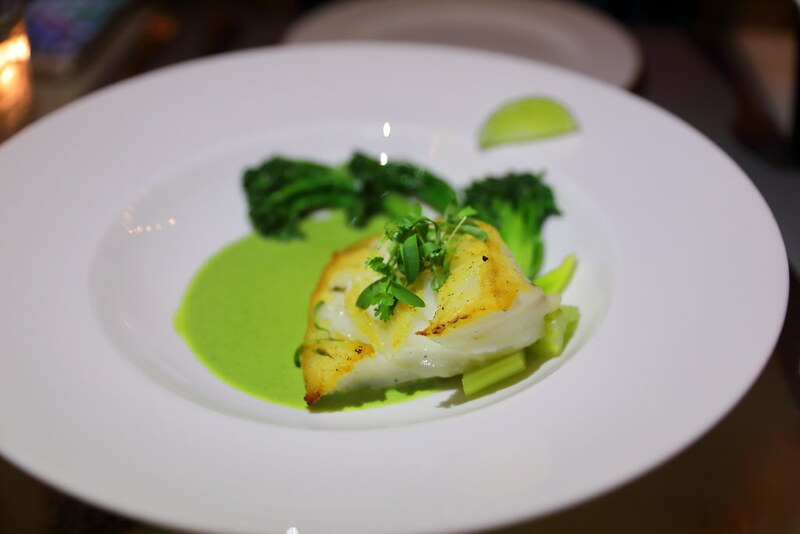 Cod has always been my preferred choice of fish for its firm and buttery taste. The Roasted Cod ($34) is well executed. It is paired with a herbal coconut broth and comes with broccoli rabe. I did enjoy the dish but I was a little confused by the description of the dish. I could not taste any heat or coconut in the broth. 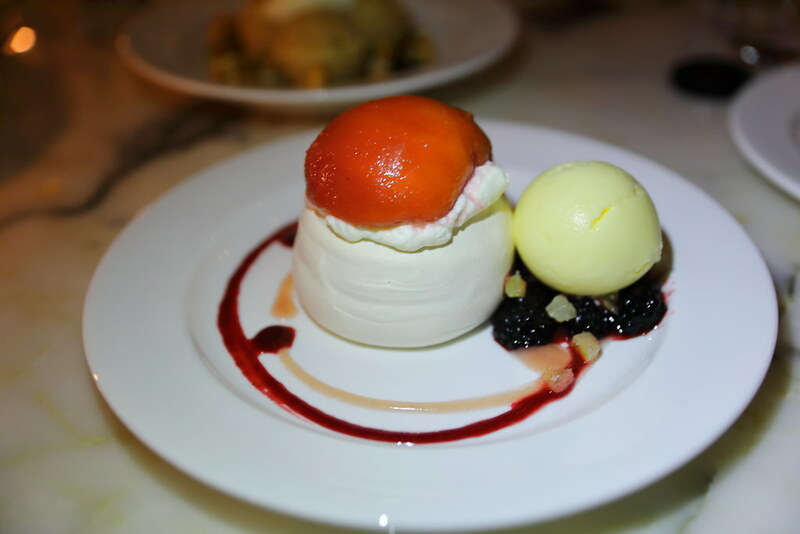 Moving to the dessert menu, we started with the Peach Pavlova ($18). While we enjoyed the meringue, we did not like the peach at all. It somehow tasted like cough syrup. 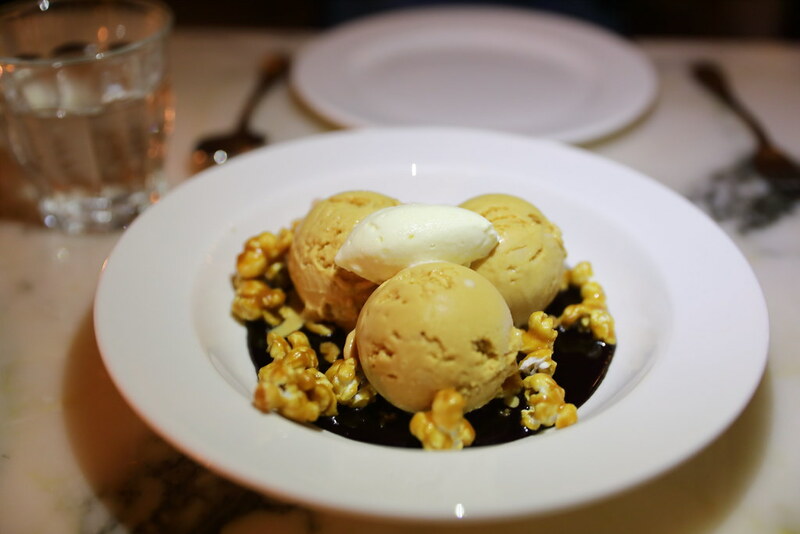 A must order is the Salted Caramel Ice Cream Sundae ($14) which is good for sharing. It came with 3 generous scoop of salted caramel ice cream, hot chocolate fudge, peanuts and popcorns. Who would have thought of such heavenly combination? I guarantee you will be fighting to the last scoop, this is simply too good to be missed. 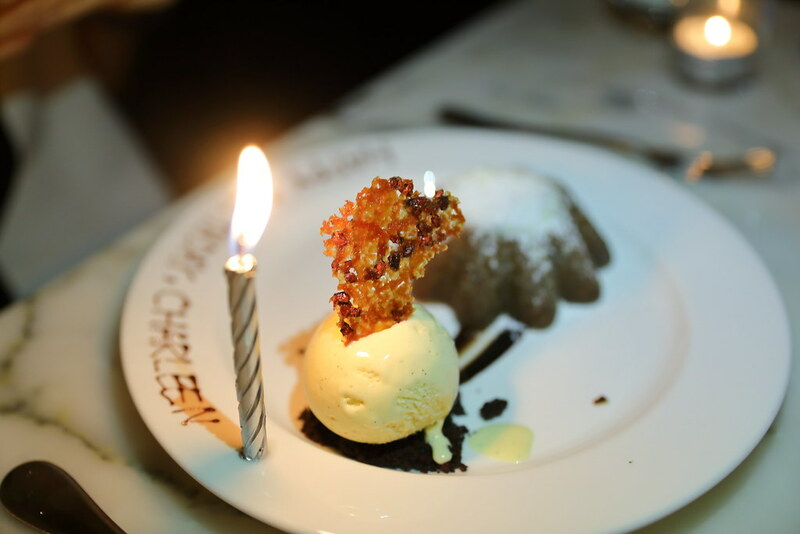 An incidentally order from the dessert menu is JG Warm Chocolate Cake ($14) as we wanted to celebrate one of our friend's birthday. It turned out this is the dessert that Chef Jean Georges Vongerichten has made famous in NYC and now almost in every restaurant's menu. While the original creator of this dessert is left to be disputed. Put that aside, I have to say the chocolate cake was really good, it was really rich with a nice exterior crisp. Overall, the restaurant is really beautiful and food is good. However I find that dining there is a bit expensive. It is probably those restaurant that I will only visit once in a blue moon. I also do not like the 2 seating arrangement. While the staff is polite enough to hint that they have to turn the table for the 2nd seating, it did disrupt my experience at such a lovely restaurant.